Tensions have escalated in the aftermath of a suicide attack in Kashmir, with nine people killed in a gun battle that broke out as Indian soldiers searched for militants. 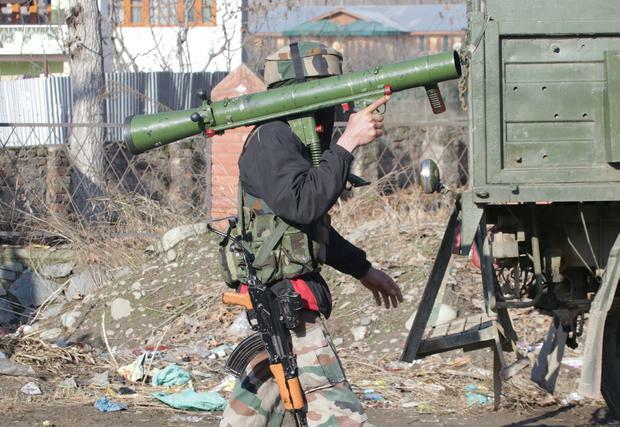 Government forces surrounded a village in the Pulwama area on a tip that militants were hiding there. Troops came under heavy gunfire, leading to a clash that killed four soldiers, three suspected militants, a police official and a civilian. It follows last week’s attack on a convoy that killed at least 40 soldiers. India blamed the attack on Pakistan and promised a “jaw-breaking response”. Pakistan has warned India against linking it to the attack without an investigation, saying that it was part of New Delhi’s “rhetoric and tactics” to divert global attention from human rights violations in Kashmir. India and Pakistan each administer part of Kashmir, but both claim the region in its entirety.